Charging customers for shipping can quite literally make or break your sales potential in ecommerce. Offline, shipping isn’t an issue. Customers just enter your store, purchase, and walk away with your products. But online, everyone wants the best deal they can get. Every. Single. Time. 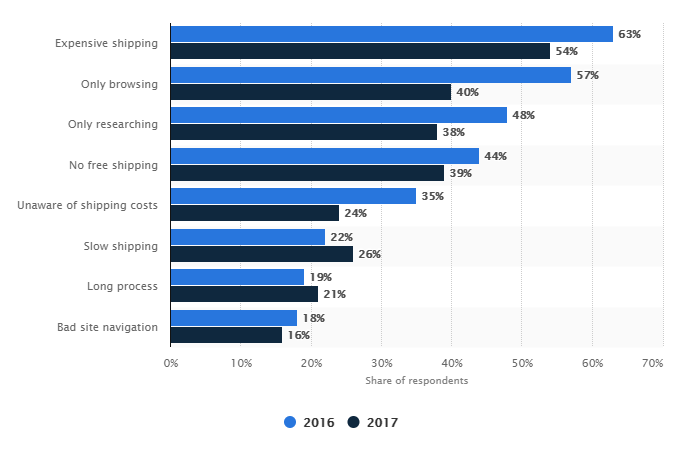 And with competitors out there like Amazon offering two-day shipping for free, it’s more important than ever to take a hard look at your shipping strategy and how you charge customers. In this part of the Ecommerce Shipping and Fulfillment Guide, we will give you the rundown on why shipping is more important than ever and seven different ways to charge customers for shipping that can fit your bottom line. You just came home from a vacation, and on that vacation, you noticed an amazing pair of shoes that you wanted to buy. You saw them and decided that you had to have them. So, when you arrived at home, you fired up Google (or Bing 😉) and searched for them. Within a few minutes, you located them, researched them, and added them to your cart. You were just about ready to purchase them. Until you inputted your zip code/address and realized that shipping was wildly expensive and the product would take five to ten business days to ship. Five to ten business days? What does that even mean? We all know that’s a shot in the dark. Unfortunately for the online shopper who isn’t browsing Amazon, this scenario is all too common. Expensive shipping makes a reasonably-priced item feel overpriced. And it kills conversion momentum. Not convinced? According to Statista, this is all true. 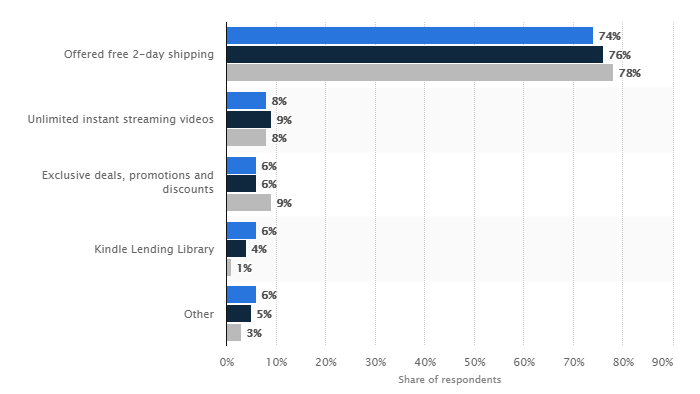 Their data shows that the number one reason for cart abandonment is expensive shipping. If your shipping is too expensive, you likely have high cart abandonment rates. Why does this happen? You can thank Amazon. Why do you think their Prime service is so popular? Because they offer free two-day shipping. People love it because they don’t have to worry about unexpected costs and delayed arrivals. Their transparent model of shipping is more compelling than Kindle books, exclusive deals, and even unlimited video streaming. Those are all tiny, insignificant details when compared to shipping. So, when you’re thinking about charging your customers for shipping, it’s something to keep in mind moving forward. Another key aspect to keep in mind is competitors. What is your competition doing? Do they offer free shipping? Are they dominating you in sales? These questions are key to ask yourself in relation to your business. If competitors are outselling you and have more customers, is it because they offer better shipping? If they don’t offer better shipping, you could likely implement free shipping and steal their customers. Do competitor research to see what they are doing and if they are outselling you. Once you’ve done that, there are a few great paths to take when charging your customers efficiently and ensuring your bottom line is protected. Completely free shipping is the gold standard. Again, it’s the number one reason why people sign up for services like Amazon Prime. Nothing is more frustrating than getting discounts or finding the right product only to see that shipping is half the cost. That’s a recipe for sales that don’t close. While it sounds like sunshine and roses, entirely free shipping doesn’t work for every business. If it’s not feasible for your bottom line, then don’t do it. Turning yourself unprofitable and potentially in debt isn’t worth the few extra customers. Remember: the only goal here is to make money. A business can’t sustain itself without profit. When it comes to free shipping, there are a few different ways to implement it without always guaranteeing your potential customers free shipping on every order. Instead of offering free shipping on every product you sell, you can offer free shipping on orders over a certain value. For example, Pura Vida Bracelets offers free shipping on all orders over $25. Due to their low average costs on each product ($10 or less per item), offering free shipping only works for their profitability if order values are $25 or more. Giving free shipping for a $5 order would destroy their return on investment because they’d be paying just as much in shipping costs on their end as the product is worth. So, how can you find out the right minimum price for you to offer free shipping at? Well, use a basic shipping calculator to estimate what your average costs will be. We will show you how to do this in the next section. Once you know what the average shipping cost will be for different products and package sizes, you can start to calculate what minimum order values have to be to ensure profitability. For instance, if your average shipping costs will be $5 and you sell products for $10 each, you need to factor both shipping and production costs into your equation. If the product costs $1 to make, that’s $6 out of $10 that won’t be profitable. Use the same margins that you currently use for the calculation. Another way to deal with products that cost less money in regard to shipping is to use “add-on” deals. For example, Amazon does this all the time with cheaper products on their site. 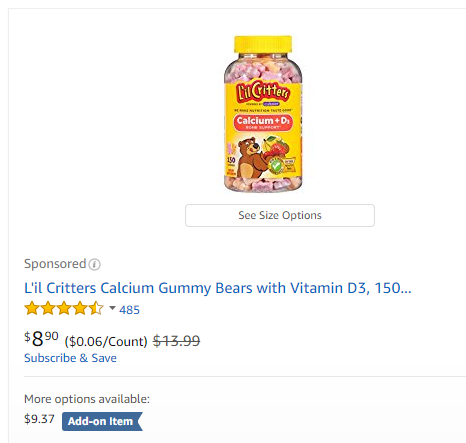 If the product is cheaper than most orders, then they mark it as an “Add-on Item,” meaning that it only qualifies for free shipping if a customer’s total order value is over $25. This way, Amazon and sellers on Amazon aren’t losing money and taking their product listings down. On your store, consider adding this feature for products that are less expensive to help them sell more without costing you more in shipping than the product is worth. Another amazing way to utilize the compelling value of free shipping without destroying your bottom line is to only offer it on certain products. Do you have particularly expensive items? Sweeten the deal by offering free shipping. Do you have items that aren’t selling well or are going out of style? Sell them faster by offering free shipping on them. Using the calculations that you did above, assess which products should be eligible for free shipping based on the profit you can make. You should prioritize more expensive items or ones that aren’t selling well. With digital marketing tactics in the modern era, it’s easy to get caught up in wanting more. More traffic. New traffic. New Audiences. New markets. New segments. NEW! What you already have is a solid foundation that’s just waiting to be mined for gold. Existing customers are cheaper and easier to sell to. Want to increase profits? Start retaining and selling to existing customers rather than focusing on generating tons of new ones. The best customers are sitting right in front of you. You don’t have to run ads that cost money anymore since you’ve already acquired them! Now, you can focus instead on building more loyal customers who produce higher lifetime values and profits for your business. And the easiest way to do that is by offering them loyalty rewards like free shipping. 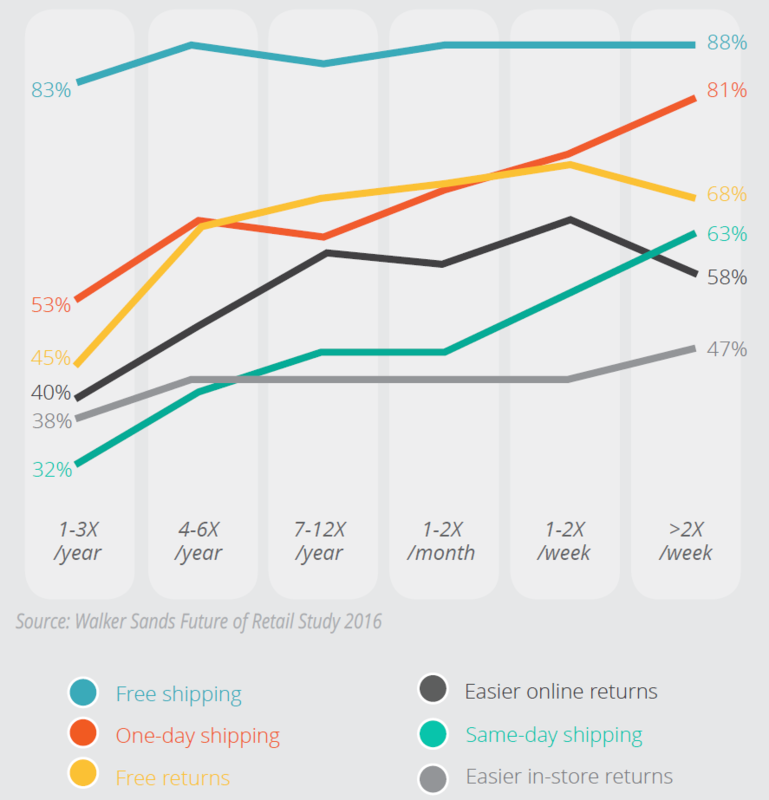 According to a retail shopping study, nine out of ten customers stated that free shipping was the number one reason to buy. While free shipping might not be profitable on a large scale for most of your products, try offering it to your most loyal customers to keep them coming back for more. 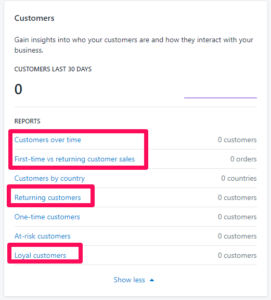 In your ecommerce dashboard, look for customers and sort their orders by the highest average order value. Locate your loyal and returning customers, too. Send an email to the segments with high order values. In the email, provide them with free shipping on all of their coming orders to thank them for their continued loyalty and support to your brand. Next, just sit back and watch your existing customer sales skyrocket. Free shipping in some form may not work for your business. Whether it’s for profitability reasons or simply because you don’t want to offer it due to the logistical challenges. Either way, you aren’t out of luck. Another popular method of shipping and charging customers efficiently is using real-time carrier rates to charge users. All of these factors would go into how much the shipping costs. It’s all based on each individual product, meaning that users don’t feel they are getting the short end of the stick. Then, using real-time software, the customer would pay the exact shipping rate given. Smaller products are obviously cheaper than larger ones. This helps customers understand that they’re actually paying the shipping for that product rather than paying some giant flat rate that is likely more than what it should cost. It’s a simple way to ensure that you never take on extra costs that could harm your bottom line or reduce profits on sales. But, this also comes with the downside of potentially losing a sale due to expensive shipping. In addition to exact cost and calculated rates, another common option is flat rate shipping. For example, you could say that your shipping cost is $20 to any location in North America or $10 to anywhere in the United States. The idea here is to standardize the prices that you show to consumers for better transparency and easy back-end functionality. It’s much easier to charge flat rates than calculated, exact rates that can shift dramatically depending on the products that you sell. From different sizes and weights to dimensions, it can get complex if you offer hundreds of products, making shipping a living nightmare. While some sales might cost more than $10 to ship based on order sizes and specific products shipped, some may cost less. The price differences are likely to equal out. This minimizes the chance of shipping costs impacting your bottom line while also providing clear pricing to potential customers. The final option you have for shipping and charging customers efficiently is treating shipping as a profit source. It means finding ways to charge customers for shipping while profiting from it. For instance, offering free shipping on your products but increasing their prices by a few dollars to compensate for shipping costs. Your products will rise a bit in cost, but the free shipping offer offsets that weight. You could even charge flat rate shipping costs and decrease your product costs. This would allow you to sell cheaper products and use shipping as a way to profit. This option should be used carefully on products that customers can’t shop around for. If you sell the same product as others on Amazon or if customers can find it in-store or at other online retailers, then don’t do it. Online buyers are comparison shoppers. Nearly two-thirds of online consumers spend at least 16 minutes comparing options before buying something. The mass majority of online shoppers will explore multiple outlets for buying the same product to ensure they get the best deal. In fact, there are even plugins and tools that can help them find the best deal, price fluctuations, and coupons. Avoid this tactic at all costs if you sell products with third-parties. However, if your product is exclusive to your online store, this tactic can work extremely well. While charging customers for shipping costs might seem like your best bet at first glance, customers don’t like paying for shipping. Not in this Amazon-dominated market. We’ve become spoiled when it comes to online shipping. But if free shipping doesn’t fit your margins and produce profit, you simply can’t offer it. That shouldn’t be scary. You should actually see it as a great opportunity. Instead, try offering free shipping to customers if they purchase more than an order value minimum. This is a great way to offer free shipping on cheaper products that you couldn’t profit from offering free shipping on alone. Even Amazon does this! Do you have more expensive products or ones that you need to offload from your inventory? Offer free shipping on them. Consider giving loyal customers great treatment with free shipping. You can make up the lost profit in lifetime value by keeping them buying year after year. If you can’t, try using exact or flat rate shipping costs. If all else fails, treat shipping as a profit source for your business. Do the math on your current margins and assess what tactic you are going to use to charge your customers for shipping.